Working with contractors remotely is a popular option to fill staffing needs when you don’t have the budget for full-time staff. It often costs less and there’s a huge talent pool to choose from. Start with one language, fine-tune the process, and scale it for other languages. Platforms such as UpWork let you search through their freelancer database. Sure, not all of them are qualified, and not all of them are affordable. But many others may fit your parameters. UpWork not only facilitates finding freelancers, it also handles the contract and keeps payment in escrow until the job’s done. On top of that, it uses a review and training system that lets you find the best freelancers for your job. The costs for freelancers differ by geography. If your company is based in San Francisco, it’s hard to find affordable local talent. But if you’re looking to hire a good French translator regardless of his or her location, you have plenty of options. 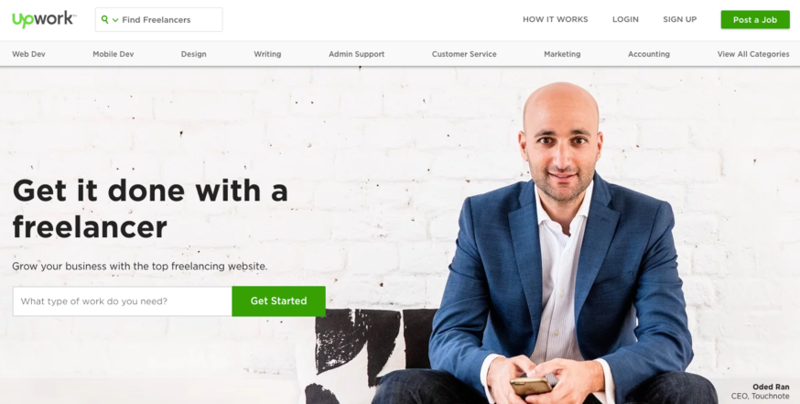 A recent search on UpWork revealed 105 freelancers who have passed its English-to-French translation test, have a job success rate of at least 90%, have billed over 100 hours, and charge between $10 and $30 an hour. While Google Hangouts and Skype are great, they have their limitations. You don’t get the experience in an online meeting and it’s more difficult to pick up on nuances such as a tremor in a voice or a look on someone’s face. Face-to-face meetings have the highest bandwidth. With that in mind, it’s important to avoid hiring remotely for jobs that require tight cooperation. One of our offices is in Brno, Czechia, a city with a huge international community of expats and students, and a relatively low cost of living. Qualified, affordable personnel are available with whom we can easily have face-to-face meetings. In the beginning, being in the same room was essential. After the foundation was laid, working remotely became possible. The team knows what to do, and when and how to do it. As with any company, making sure your team has a thorough understanding of what you do is essential. Training the team is crucial – and not just at the start. After the initial training, it’s important to have a weekly meeting where you discuss the topics due to be written that week and tackle any questions the team may have. Doing the initial training in person is preferred because it’s the best and quickest way to bring people up to speed. You can do it remotely, but make sure to give it more time and attention. The further along your multi-language content marketing team is, the easier it becomes to train new people. The training materials are ready; the process is well documented; and there are plenty of examples to review. Every content translator who came on board with us attended two internal workshops – basic SEO and advanced SEO – in one-on-one, in-person sessions. This is where we laid the foundation. While training people requires an initial investment, it’s necessary to get the team up and running quickly. TIP: Ensure that your primary language version is a solid finished product before the translation process starts. Whether articles need to be written informally or formally depends on the market. And when you’re localizing content, it’s best to translate certain words – terminology – consistently. A checklist detailing how to truly localize articles rather than just translating is essential to strike the right chord with the audience. It should include localizing illustrations and examples. Discuss the article’s goal, scope, target audience, and target queries. Explain the article’s context and the pain points addressed. TIP: If SEO is important, do keyword research in the localized languages to ensure that your content fills the local search query needs. Once the articles are localized, promotion starts. You can have the best content in the market, but if nobody sees it, the work has all been for nothing. The same promotion rules apply – promote to relevant audiences on platforms where you’re able to devote time. But you can’t just take the same promotion plan as your native language and expect it to work in the local market. 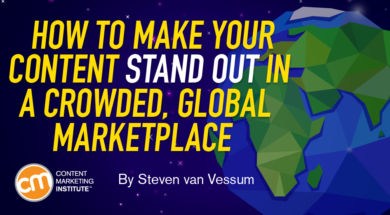 You must understand how each localized market operates online – platforms, rules, influencers, etc. For example, if you’re working with influencers to promote the B2B content in Germany, chances are you should use Xing rather than LinkedIn. While if you want to promote content in a community forum like Reddit, consider Telegram if you’re operating in Russia and Ukraine. Each step of our content marketing process is documented in a company wiki. We work in one-week sprints as both writing the original content and localizing that content have one-week turnaround times. We use Trello to track the progress of the content production process in both the primary language and the translations. Localizing our content has worked well. Localized content makes up 40% of traffic and conversions. Each month, about four hours is spent managing and meeting up with the translators. Monthly costs for translators total around $1,500, leading to a 450% ROI on localization investment. Building a multi-language content marketing team is a great way to get results when your audience operates in several geographic areas, and its success does not require a big budget. The trick to making it work smoothly is to have well-defined processes, as well as the tools in place to support the whole process from start to finish. If running an experiment with a multi-language content marketing team is feasible for you, and your target audience includes non-English speakers, why not give it a try? Get inspired by real-life examples and expert insight to improve your content marketing program. Register today for CMI’s free weekday newsletter.